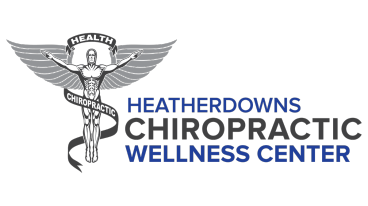 Here at Heatherdowns Chiropractic Wellness Center, we offer many different services to fit your specific needs. Whether you are experiencing neck or back pain, feeling tight and stiff, or want to improve your health and wellness, we can help! A chiropractic adjustment is a method used by chiropractors to help treat the bones of the spine called vertebra, and the joints that they form with one another. The vertebra can sometimes become restricted in the motion and limit their natural function. As a result, pain and tenderness is often felt. The adjustment can be administered in many different ways or techniques. At Heatherdowns Chiropractic, we make sure the right technique is used to treat the needs of the patient. Dry Needling is an effective form of therapy for pain management and the treatment of neuromusculoskeletal conditions. Dry Needling is not Acupuncture, but similar in the technique of inserting very small needles into the tissue beneath the skin for a therapeutic effect. Dry Needling can assist in the treatment of neck pain, back pain, sciatica, extremity and joint pain, headaches, migraines, and TMJ disorders. In addition to the adjustment, therapies such as Electric Muscle Stimulation and Intersegmental Traction are used to help enhance the healing in many patients. Different therapies can further assist in decreasing inflammation, reducing pain, decrease muscle tension and help with the healing process. Corrective & Rehabliation Exercises are an important part of treatment at Heatherdowns Chiropractic. Often times, issues in the spine can have secondary effects that need to be addressed through different ways. Safe and appropriate exercises can really promote patient empowerment and the idea that patients can play a role in managing their own pain and symptoms. Various techniques utilizing solid, stainless steel instruments have provided great results for those suffering from muscle, tendon and ligament injuries such as sprains and strains. Whether treating chronic or acute conditions, instrument assisted soft tissue mobilization does what the name implies by freeing up adhesions and/or scar tissue that can create limitations in the musculoskeletal system. At Heatherdowns Chiropractic, we offer physical examination and pre-participation evaluations for high school student athletes. Our clinic is a convenient place for your athletes to be cleared for their upcoming sport or season and while here, we can discuss how chiropractic care can benefit athletic performance and keep athletes on the field! Natural, organic whole food supplements can be a key part to anyones health and wellness. Regardless of patients with acute or chronic issues, many times nutritional deficincies can make a big difference in a persons day to day life. We offer a variety of vitamins and supplements that can be specific to each individual and their nutritional needs. Foot Levelers is a trusted brand utilized throughout the chiropractic profession. Their quality, customizable shoe inserts are created based on each patients weight-bearing structure. Each foot is scanned individually to determine where a patient distributes their weight or pressure on their feet. The outcome is a custom made orthotic that establishes a level platform for a person’s feet, allowing the rest of their spine to be in an ideal position from the ground up. Sometimes we can find ourselves on the wrong end of an accident. Lots of times, injuries sustained during car accidents can be well managed through chiropractic care, therapies and rehab. If left untreated, even the slightest fender bender can cause long-term pain and problems within the spine or muscles. If you have been in an accident, call our office to see what ways we may be able to help.